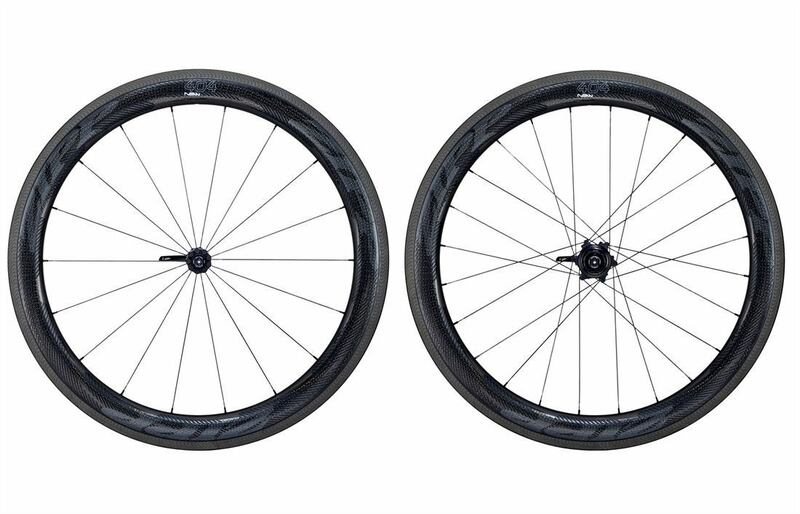 Click the button below to add the Zipp 404 NSW Carbon Clincher Wheelset to your wish list. The NSW label is one Zipp bestows on the production runs of their most cutting edge product. It’s an acronym for Nest Speed Weaponry, the top-secret facility within Zipp where the latest ideas are hatched and incubated. Some of their work has already been seen in the 404 Firestrike wheels, but those were limited-production. Here, they’re mass-producing, and much improved over the Firestrikes that have come out thusfar. The first NSW was the 808. Compared to the 808 Firecrest, it is faster, stiffer, rolls on lower-drag hubs, and stops better. The same is true for the 404 NSW and more. This 404 keeps the 58mm rim depth the 404 is known for. The shape is taken from the 404 Firestrike that they’ve been working on these past few years. The width at the brake track is 26.4mm, up from 24.73mm. The max width is 27.8mm up from 26.53mm. Weight is down to 1555g, 705g front, 850g rear. Down from 1690g for the Firecrest and 1620g for the Firestrike. Spokes are the aero Sapim CX-Ray, same as the Firestrike and thinner than the CX-Sprint’s on the Firecrest. From this point, the rest of the wheel changes dramatically. The dimpling pattern as been modified. They call it Aerodynamic Boundary Layer Control, or ABLC, and the new pattern, which they call SawTooth, thanks to the wrapping of the dimples over the sides. Basically, the pattern is designed to reduce drag in high yaw (crosswinds) and improve crosswind stability. Crosswind stability, or low side forces, is a big deal with the 404. Zipp’s engineers were able to work their magic with shaping and dimpling to reduce the side forces produced from wind by up to 34% compared to the Firecrest 404. And that was a very stable wheel. The reason this is important is that fears of getting buffeted by crosswinds often scares folks away from riding deep rims. With this new design, people should have little fear that they’ll be able to confidently pilot these without needing Popeye arms nor a constant eye out for wind shifts. It will handle like a much shallower wheel with the category-killing aerodynamics of the 404. In terms of going faster, thanks to the SawTooth design, the biggest gains are realized when the wind is coming from an angle between twelve and 17.5 degrees, where you can gain two watts over the Firestrike. And much more over the Firecrest. Helping with the rim aerodynamics is a small, but blingy update. It’s their ImPress graphics, which essentially screens the logo onto the rim. This is lighter, and more aero than Zipp’s super-light, super-thin, stickers and all the dimples get to do their job. The brake track has been improved with the second-generation Showstopper technology. Showstopper refers to finely-molded directional grooves that help channel water and debris off the rim as it spins and cool the track as well. Better, more consistent braking in the wet, in the dry, and even when you’re dragging the brakes. The goal was to match the best aluminum rims on the market: Showstopper does so at the low- to mid-lever forces, and exceeded at the high-lever forces. Zipp also redesigned their hubs. They call them Cognition. What you need to know is that that they’ve improved both front and rear designs. The front, weighing 110g, features a scalloped edge for the spoke beds where the pressure from the spokes is more evenly distributed and doesn’t deform the bearing bore under high loads, like when you’re sprinting out of the saddle. The rear, weighing 225g, has a new pawl design with an Axial Clutch, which reduces pawl drag when coasting. Sapim CX-Ray spokes are used: still the best in the business. The wheels, sold individually, come in a Zipp wheel bag (which can be secured to a second such bag), a black anodized Zipp titanium skewer, a Zipp valve extender, a Zipp butyl tube, Zipp Platinum Pro Evo pads (please specify Campagnolo or Shimano/SRAM), And Zipp rim tape. The Zipp 404 NSW Carbon Clincher redefines the mid-depth carbon wheel.